Grafiprint AE38C is a white, cast self-adhesive vinyl with a permanent grey acrylic adhesive. The AE stands for Air Escape and the C is for Comfort. 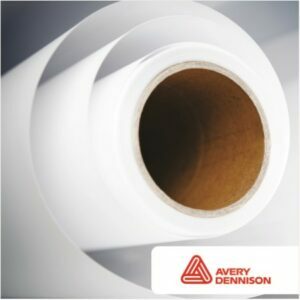 The GrafiPrint AE38C film has a lower initial tack which mean the media can be slided over the surface to reposition the film (strength is obtained after film is firmly pressed onto surface).